A garden pavilion is a wonderful way of increasing your living space and making sure you get the most out of your backyard. While we always look forward to the warm months and promise ourselves that this will be the year where we really do enjoy our gardens to the fullest, most of us invariably end up staying inside during those beautiful months anyway. Whether its the too hot midday sun preventing us from going out, or the fact that the sofa in the living room is just that much more comfortable to relax after a long day than any sun lounger, or its that annoying drizzle that puts a damper on the otherwise perfectly warm summer’s day, the reasons for sticking to the indoors are plentiful. 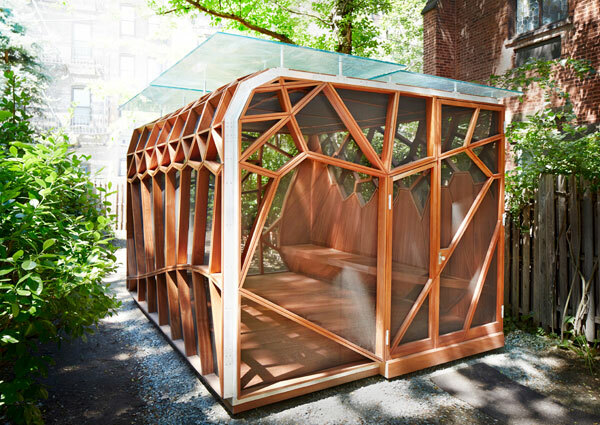 With a garden pavilion, you make all of these reasons obsolete with one fell swoop. 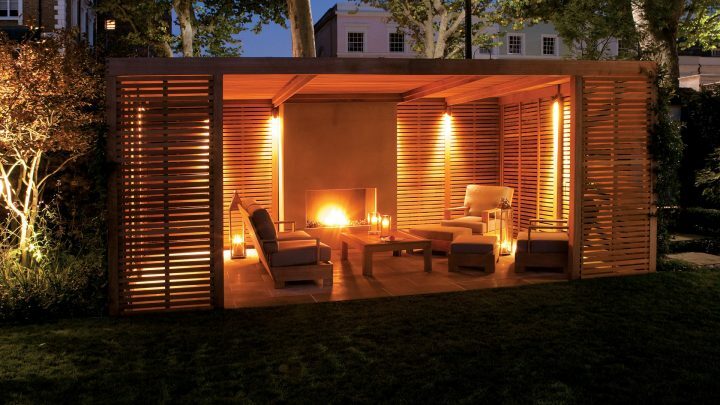 Backyard pavilions, as we have said before, dramatically increase your living space. And by doing so, they also offer all the necessary conditions you need to actually relocate at least parts of your daily routine outside. Since pavilions typically are a permanent structure, they allow for spacious, comfortable living room suites being placed there, effectively making the new space an additional living room. Additionally, you can place an outdoor kitchen into a pavilion, or -if you’re good with heading indoors for side dishes and snacks- at least a good-sized barbecue. Or you could have a stunning outdoor fireplace in there that doubles as grill as well as for lighting. And if you are living in an area where the air doesn’t cool off too much during summer nights, you could also opt to invest in outdoor beds to spend your nights under the endless summer sky. The possibilities of a garden pavilion are nearly endless, and their individual forms are as well. 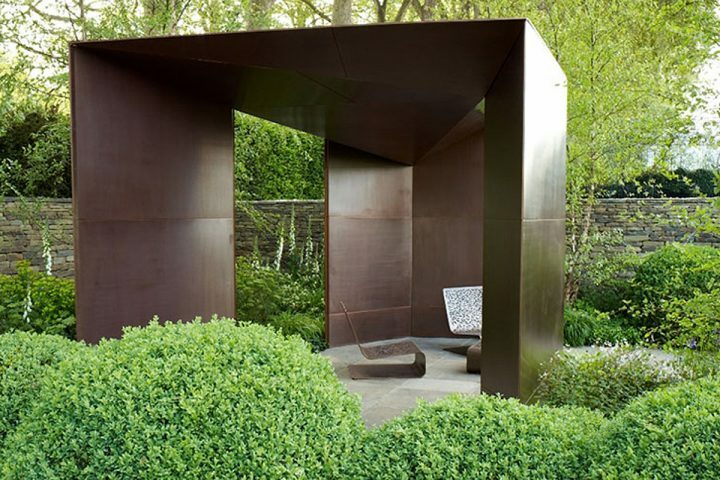 To give you some inspiration, we have collected some of the most beautiful examples of outdoor pavilions for you below. Enjoy and let yourself be inspired! 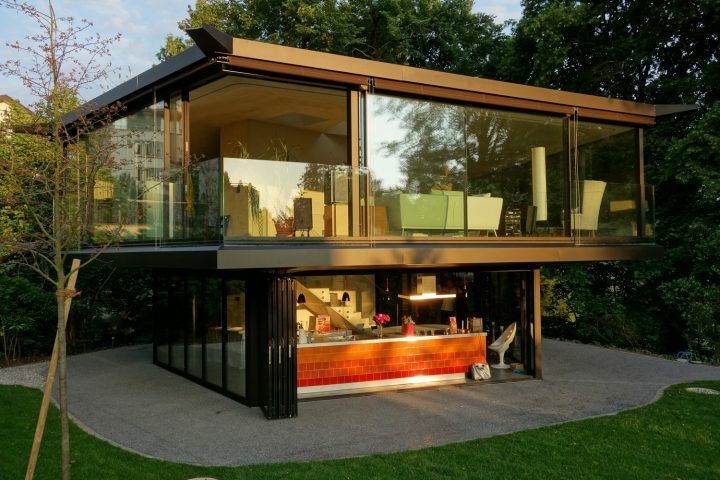 This transparent pavilion is the perfect compromise if you’re looking for a sheltered room in your garden but don’t want to loose the beautiful view. The full glass construction makes the walls of the pavilion completely disappear and let the roof appear as if it was floating in midair. 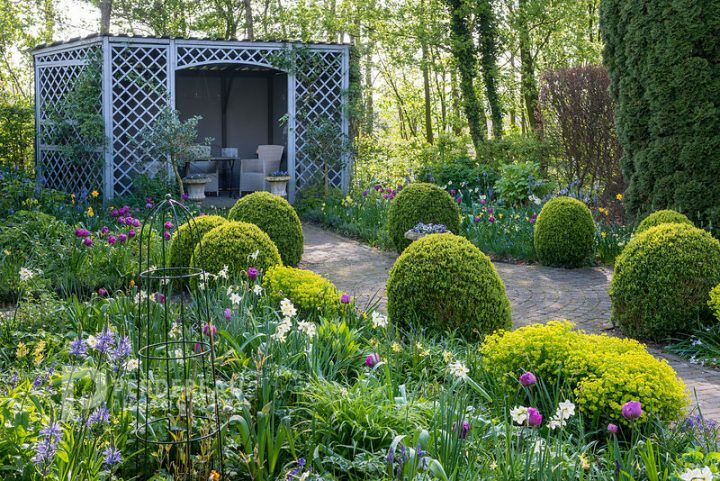 A pavilion like this is a stunning addition to a garden and creates a truly unique place to relax and enjoy your beautiful surroundings in any weather. This pavilion is a great mixture of traditional form and modern materials. The circular pavilion, or rondo, is a very traditional type of pavilion and would usually be made out of four or more stone pillars holding up the roof. This pavilion keeps the rondo form, but takes it into the 21st century by its use of glass all over. The structure is easy to access and air via a wealth of sliding doors that easily lets you transform the sheltered room into an airy patio and vice versa, depending on the weather. 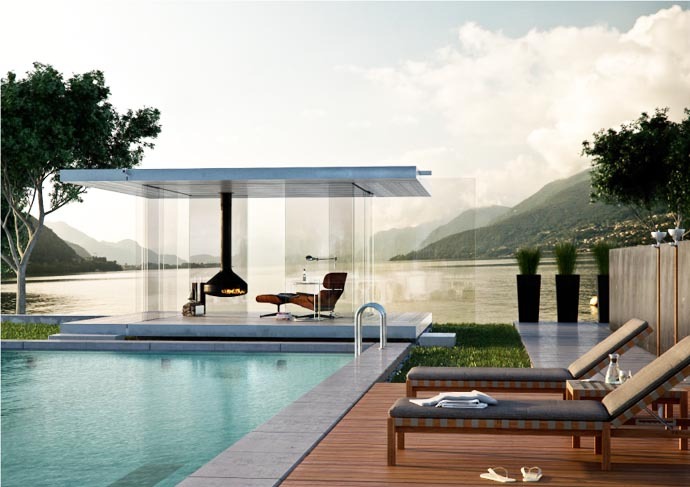 This ultra modern pavilion is the perfect example for a permanent outdoor living room. The three glass panelled sides give to user the feeling of being in the middle of the garden, while still being able to enjoy all the amenities of a comfortable, generous living room. Two of the three sides sport sliding glass doors that can be fully opened to enjoy good weather, and at the same time make sure that the outdoor living room can be enjoyed during the colder seasons or in inclement weather. If you have the space (and financial resources) why not go for a two-storied deluxe version of a pavilion? The open bar-slash-kitchen on the ground floor is a particularly enticing feature of this pavilion, and we can’t help but think about the lovely late dinner parties that will undoubtedly take place there. This hyper-modern garden pavilion is a stunning feast of architecture and impresses with its industrial-style wall-panels. The stark, dark walls are beautifully broken by the large glass fronts and windows, that give the pavilion a surprising lightness. 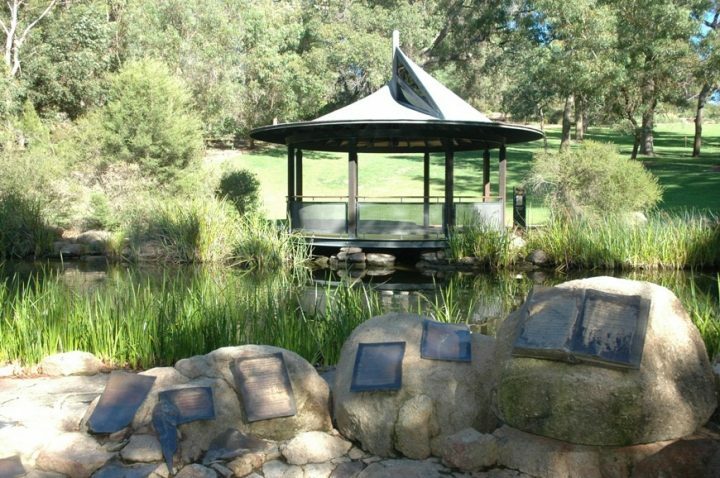 If you’re lucky enough to have a pond in your garden, why not locate a small pavilion like this on its shore? There’s nothing more relaxing than listening to the sounds of water and the animals living in and around it, particularly if you can do so from the comfort of a sheltered place. 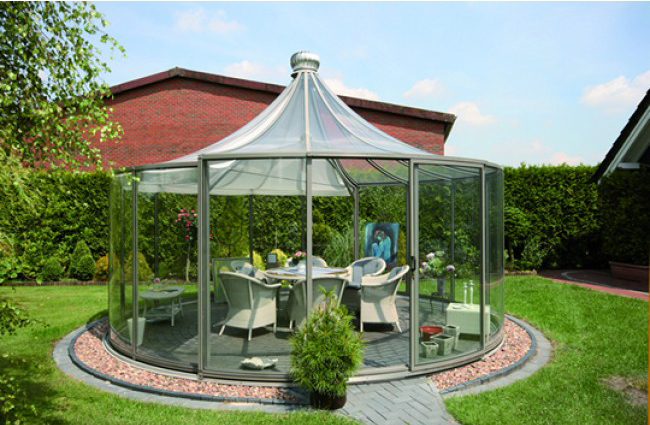 The circular shape and the unique roof are a stunning addition to any garden. 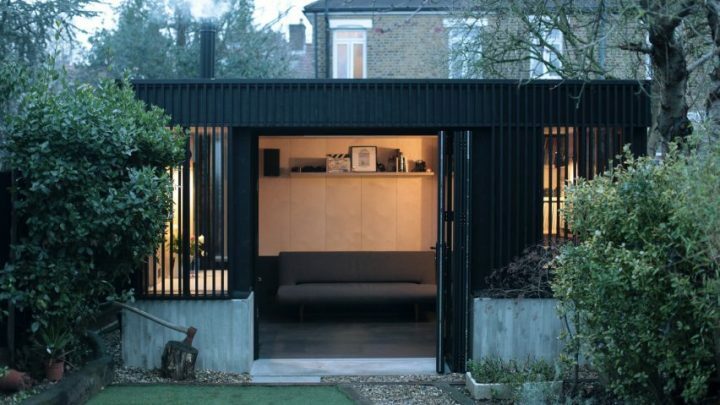 This very modern interpretation of a pavilion might at first glance appear very stark and forbidding with its black metal slat construction. The design idea behind this structure were traditional Japanese tea houses, and while the characteristic slats and grid designs transported into a more modern black metal facade might seem uninviting, the living space inside is lit up by a large skylight and transform the stark outside into an appealing place to relax with the reduced interior design that helps calm your thoughts. This ultra-modern steel and brass pavilion challenges our conception of what a pavilion is and looks like – and we like it! 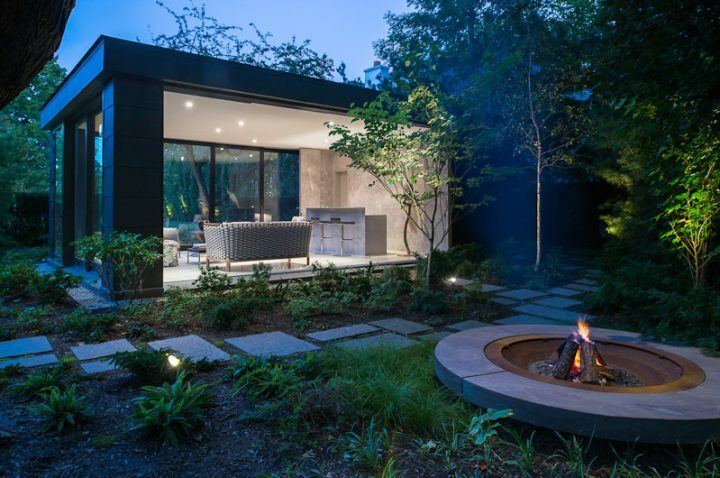 With its clean, reduced lines and heavy set, durable appearance, this version of a pavilion is a true re-thinking of the iconic structure and gives the owner a truly edgy, new approach to garden design. 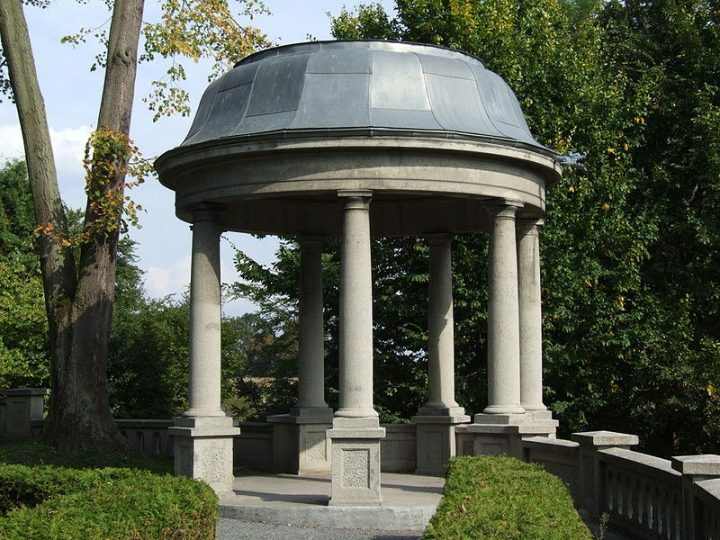 This stone garden pavilion is a classic gazebo that could be found on the grounds of any grand summer estate. While it certainly is not the most modern look you can go for, this structure impresses with its classic grandeur and is guaranteed to withstand the test of time. 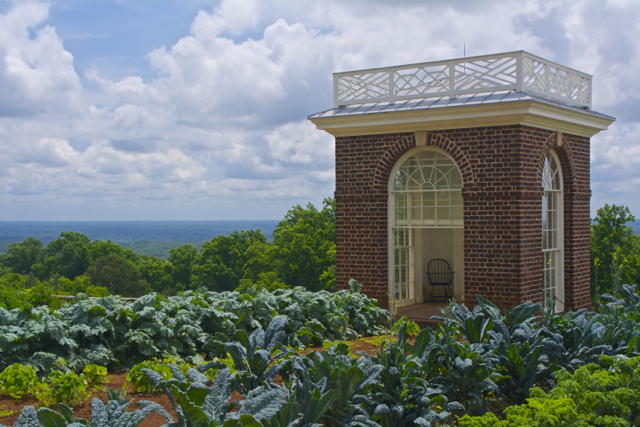 This little stone pavilion is actually located on the grounds of the Monticello estates and has been designed by none other than Thomas Jefferson. A small, structurally sound brick pavilion like this is guaranteed to withstand wind and weather for a long, long time and offers enough space to sit and think, work, or write in all seasons. Combine a smallish structure like this with stunning or interesting views and you’ll never tire of your private hideout. 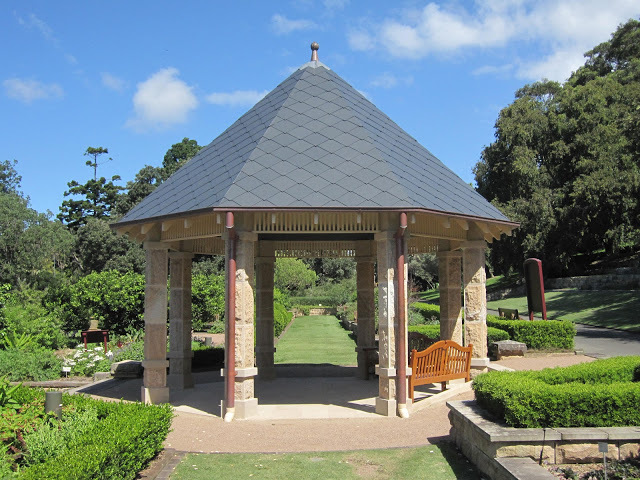 This sandstone pavilion is a lovely centre point for a herb garden or labyrinth. While structures like this don’t offer much in terms of protection against wind and colder weather, it’s perfect for areas with generally mild to hot climates with little danger of prolonged rains or stormy fall-weather. The wooden slats panels that make up the exterior walls of this pavilion are both a visual highlight and a wonderfully unique way of building a structure. The panels perfectly shade the pavilion’s interior during the day and look stunning when the inside is lit up at night, while at the same time giving premium privacy from your neighbours gaze. The classic fireplace situated at the back of the structure is an additional bonus that makes the pavilion an even more inviting place to spent days and evenings. 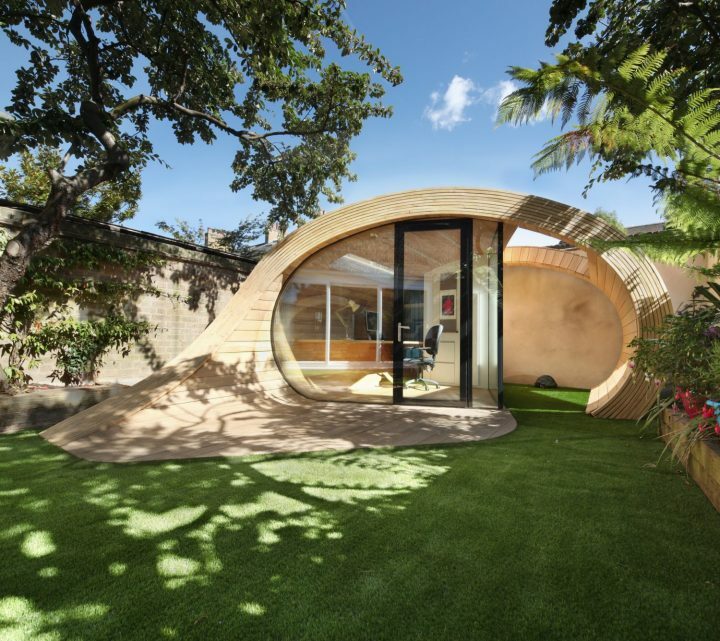 This stunning wooden garden pavilion is reminiscent of either a snail’s shell or a gently rounded pebble. If you’re looking for something really unique, this structure is your best bet to wow your friends and neighbours. This pavilion houses a small, enclosed office in one half, and an open storage or lounging space in the other. In front of the glass-enclosed room, there is a small terrace that is cunningly “unfurling” out of the wooden main framework. This Japanese-inspired pavilion is striking in its reduced elegance. The grey mats and low table match perfectly with the beautiful cherry-wood structure of the pavilion itself and create an instantly relaxing zen atmosphere you can’t help but enjoy. 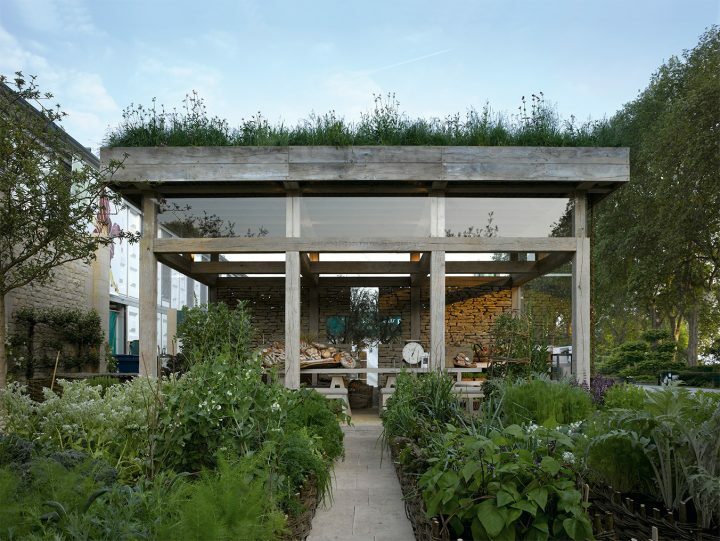 This pavilion is a great example for working with the environment instead of creating something artificially beautiful to install in your garden. With its rough stone back wall, the wooden beams that have been recycled from an old barn structure, and the planted roof that offers both good insulation against the summer heat as well as additional living space for insects and small animals, this pavilion very much is part of nature. A great way of creating a truly “green” building. 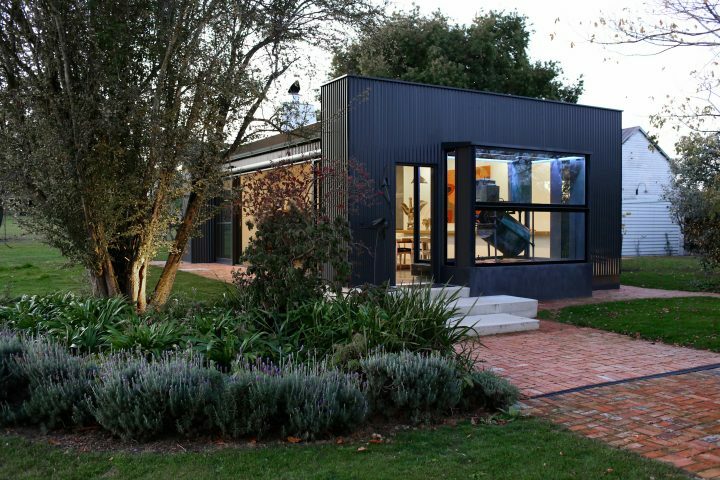 A simple, rectangular pavilion does not have to look boring or old-fashioned, as this example beautifully illustrates. Clearly inspired by the wings of a dragonfly, the mahogany wood frame is a visual work of art that gives this pavilion a completely unique look. It’s a fascinating, yet very modern and reduced design – and it blows our minds with its beauty! This lovely blue pavilion is constructed out of climbing trellis that serve both as means of shading for the interior space, as well as a base for nature to grow up on and create a densely foliaged living wall over the course of time. With a pavilion like this, you have the chance to make your pavilion truly a part of the nature surrounding it, instead of a separate building. 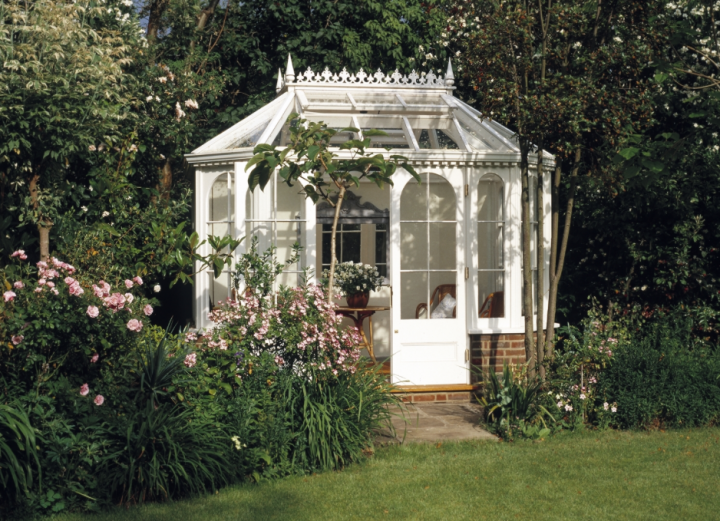 This lovely garden pavilion wins you over with its white wooden frame and the large glass fronts set both into the walls as well as into the roof. This design carries strong fairy tale connotations and will instantly transform your garden into a beautifully romantic place you’ll love to spend time in. This small wooden pavilion impresses with its unique box-like shape. The slanted panels doubling as windows give the structure an appealing, modern look that goes beautifully with its clear, modern lines. 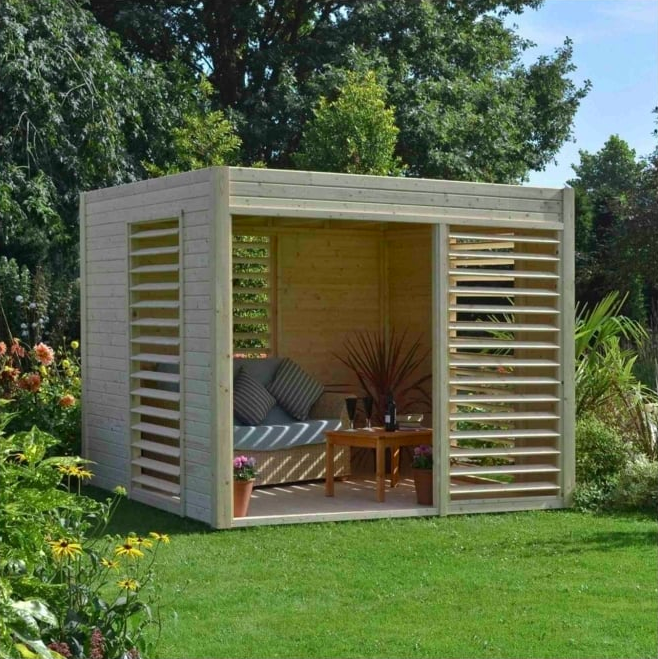 This pavilion might not be the most elaborate or be able to double as a full sized outdoor living room, but that only helps to make it fit into nearly every garden, no matter how small or big. 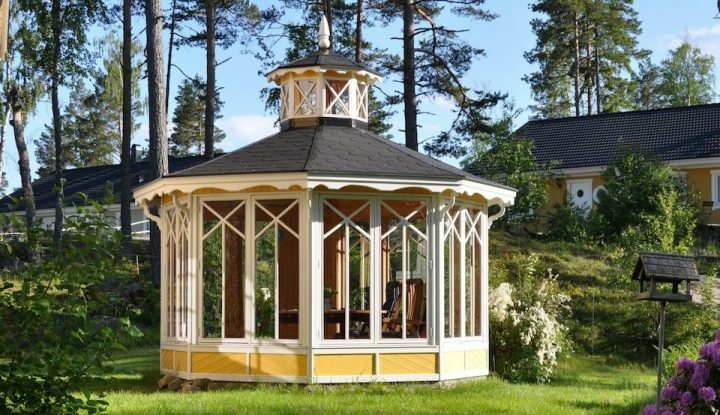 This Scandinavian-style wooden pavilion is reminiscent of classic summer gazebos and impresses with its geometric sides, the dark-shingled roof, and the friendly yellow-wood base.